North Korea is warning the American ambassador to South Korea that he could face a “bigger mishap” than being stabbed in the face – an act of violence that he suffered in March. The comments were made by the country’s Committee for the Peaceful Reunification of Korea, which took exception to recent comments made by US Ambassador Mark Lippert about North Korea’s poor human rights record and nuclear program. On Wednesday, Lippert said North Korea could improve its relationship with the world and the United States by boosting its respect for human rights and moving to halt its nuclear program. 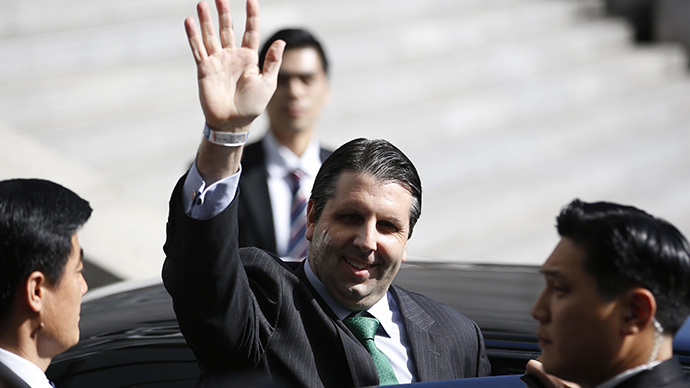 “Lippert needs to drop the bad habit of rashly engaging in scheming chatter distorting the truth and instigating war by taking issue with us,” the North Korean committee said on the Uriminzokkiri website Thursday, as quoted by Reuters. “Otherwise, next time, he could face a bigger mishap than getting cut in the cheek by a South Korean citizen,” it added. The two Koreas are still technically at war since an armistice was signed in 1953 instead of a peace treaty, and North Korea frequently accuses the US of threatening to renew hostilities in the region. The US, meanwhile, recently accused North Korea of masterminding a hack against Sony Pictures. “It is unbearable insult and mockery against us and a laughable and brazen charge that cannot be overlooked,” the comittee added, referring to Lippert’s statements. The comments from the North come more than a month after a South Korean slashed Lippert in the face with a fruit knife. The man reportedly yelled some kind of comment about reuniting the Koreas during the attack. “The guy comes in wearing traditional Korean brown and tan dress. He yells something, goes up to the ambassador and slashes him in the face,” Michael Lammbrau of the Arirang Institute think tank, who witnessed the attack, said to Reuters. Lippert was hospitalized but recovered. The man who slashed him has been charged with attempted murder.